Books for Keeps Is the Best! The best thing about being a school librarian in Athens, Ga is that we have this incredible organization called Books for Keeps which raises funds ($30 per student- if inclined, donate here) so that all students K-5 are able to take home 12 books each year in order to prevent summer slide. Thanks to Leslie Hale, Melaney Cook Smith, Rainey Lynch, Louis Crow, and all the other individuals who make this day possible. You rock our world! We had lots of great events in October. We had a fabulous author visit with C. Alexander London. Many of our students liked hearing that as a kid London, “didn’t like to read but loved stories.” He was really into a video games, which he viewed as a different type of a story because they have all the elements (beginning, middle, end, problem and solution, cause and effect, details, and setting). He writes several drafts of each book on a computer. Big secret: There’s a dog (his) in every book. Dr. Maurice Snook came and spoke with our 3-5th grades about chemistry. He did lots of cool experiments. Lots of ooos and ahhhs. 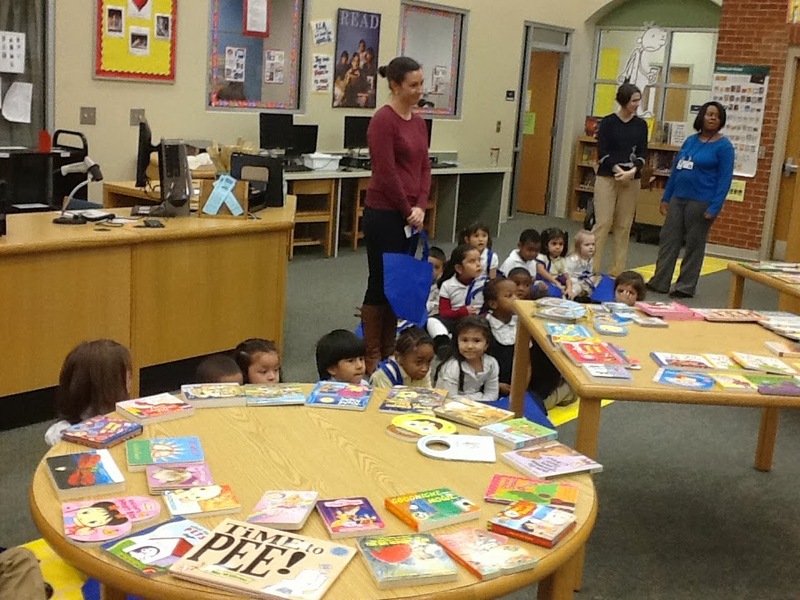 We had our book fair, and it was the most profitable one ever. We sold a $1000 more of merchandise than last year! We bought lots of new books for the library, and more are coming. There’s a pic of some of our new books in our slideshow. Last week we had storybook character day. Our kindergarten held their annual parade, which was as adorable as always. Many of our teachers dressed up. Pictures are in the slideshow. One of the favorite days of the school year happens at the end of the year, when Books for Keeps visits and distributes 12 free books to each kid in our school. They have been nominated for an award by the L’Oreal Foundation. You can view the video here. Vote for the video, and they can win $25,000 more. You can vote for Books for Keeps at their website, on Facebook (by sharing the link), and on Twitter (by sharing the link). You can vote on each of these three platforms once a day. 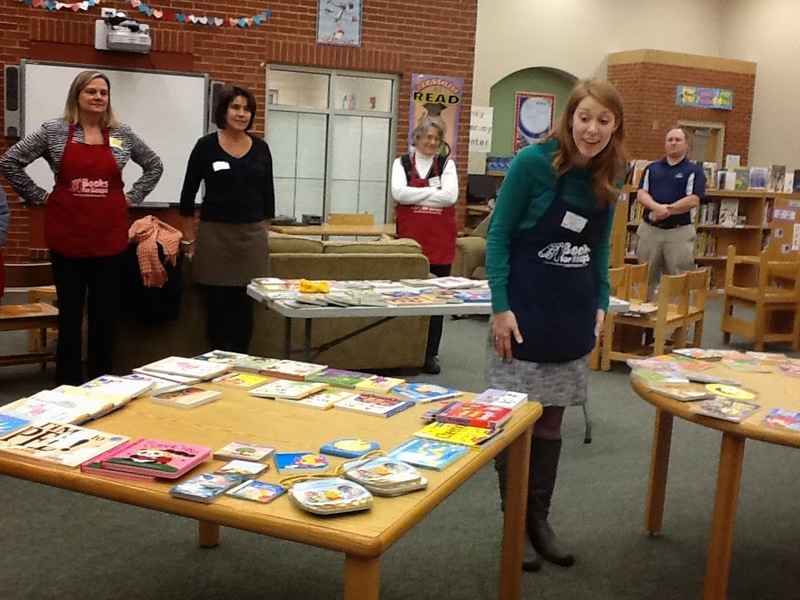 If Books for Keeps wins, they will be able to serve more schools in Clarke County. Hooray! Welcome back from spring break! March is busy! We have a couple of media center updates. 1. The 5th grade Battle of the Books competition will be held this Wednesday, March 18 at 1:20 in the Media Center. We are very proud of all of our participants. We would love to have our families join us, if your schedule permits. 2. This Saturday, March 21, 2015, from 5 to 7:30 p.m., several of our students are participating in a Books for Keeps fundraiser, Are You Smarter Than an Athens Grade Schooler? This event takes place at Holiday Inn, and helps raise money for Books for Keeps, an organization that provides 12 free books for every student (K-5) in our school!. 3. The Book Fair is coming! It starts next Monday, March 23 and runs through March 27 at 1:00. We begin setting up Friday, March 20th at 1:00. If you would like to volunteer, please sign up here. I’d love to have your help! Growing up I had a library. I’m a big reader because my grandmother made sure I had lots of books. If all were right in my world, every kid in our school would have their own library at their house. Thanks to local organization Books for Keeps, this goal is happening. The past two days, every single student in our school Grades K-4 has taken home 12 free books, which they were able to choose for themselves. (5th grade will receive their books on Thursday). It’s been thrilling! I LOVE the way Books for Keeps organizes their distribution- every student self-selects their books. Afterwards, they conduct exit survey asking the kids what books they are most excited about, and what they wish we had more of. They base their entire method on this study. It works! The past two days, I have had so many kids come up and hug me and tell me how excited they are about reading. Every time I walk into a classroom or into the hall, I spy a kid with their head in a book. The past few weeks the kids and I have had great discussions about the best way to thank Melaney, Leslie, Vicky and all of the volunteers is by reading every day. I’m already seeing this in action. Chills! Way to go, Wildcats! Keep up the good work! Welcome back, Wildcats! Hope you had a great spring break! Today author Nancy Krulik visited our Media Center. She shared excepts from each of her series, Katie Kazoo Switcheroo, George Brown, Class Clown, and the Magic Bone Series. She spoke with the 2nd grade about all aspects of the writing process. She stressed the importance of revising your work. An anonymous benefactor donated money that enabled us to purchase five of Ms. Krulik’s books for each classroom. Another Wildcat friend’s donation helped Mrs. Sugiuchi purchase complete sets of all three series for our SLMC. We are all thrilled to read our gifts! Thanks to Janet Geddis, Rachel Watkins, and Will Walton from Avid Bookshop for arranging this visit and for making it a success! Next week we are hosting our spring book fair. We are already excited about the books- we’ve been watching and discussing different book trailers this week. 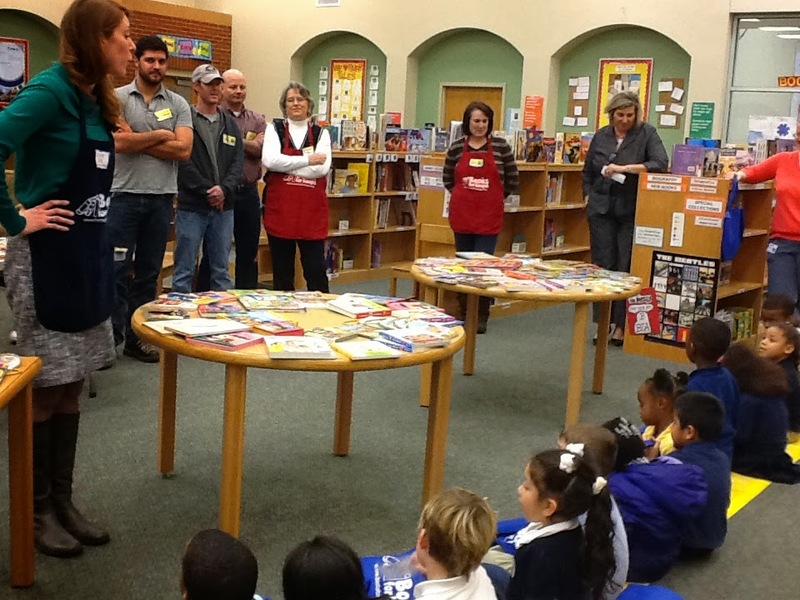 If you or someone you know would like to volunteer for the book fair, you can sign up here. Next Monday @ 8:45 we will be hosting the 5th grade Battle of the Books in the cafeteria. May the most well-read team win! This Saturday, seven of our students will be participating in “Are You Smarter Than an Athens Grade Schooler?,” a fun, family-friendly event benefiting Books for Keeps, an organization that provides free books to students. 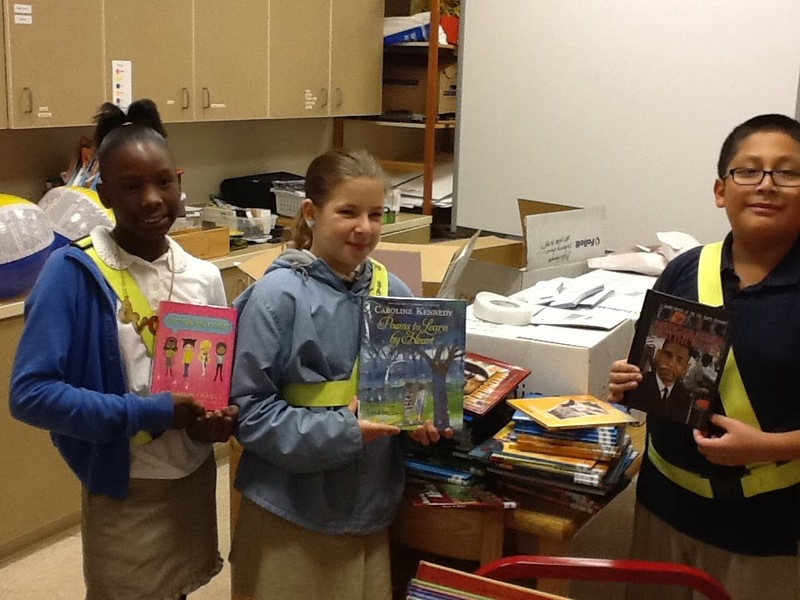 This May all of our students will be receiving books from Books for Keeps. What: Are You Smarter than an Athens Grade-Schooler? When: This Saturday from 6 to 8:30 p.m.
Who: Students from Alps, Fowler, Oglethorpe, and Winterville Elementary Schools competing against adults from Athens’ business community. Visit Books for Keeps’ website, to buy tickets and check out the adult teams, as well as the Facebook event page. Seating is limited, so buy tickets in advance! Yesterday Books for Keeps Executive Director Leslie Hale, founder Melaney Smith, and several volunteers (including former Athens mayor Heidi Davidson) met with the Pre-K students here at Oglethorpe. They gave six books to every Pre-K student in our school. In May they will give every single student in our school 12 books. The goal- for our students to become better readers by having books to read at home! We are very excited about this new partnership. You may read more about Books for Keeps and their mission here. 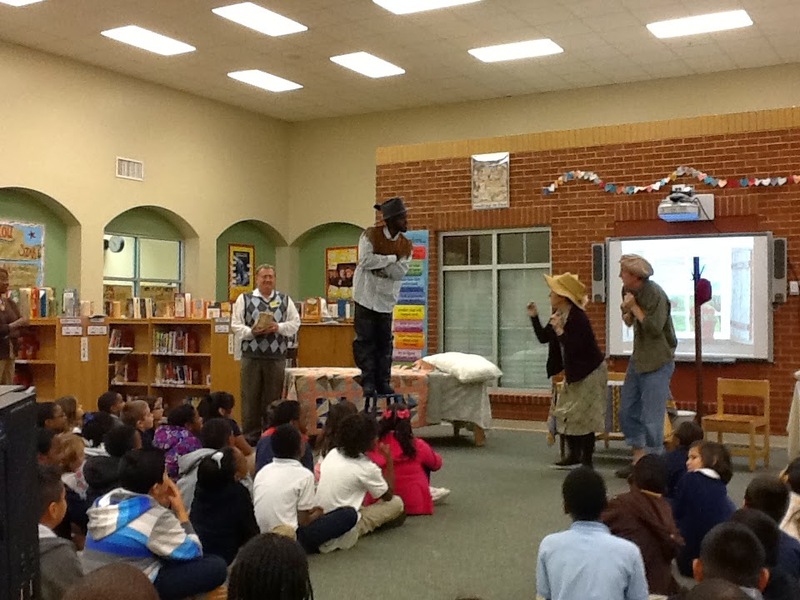 Last Thursday Mr. Marty Barrett and other actors from the Woodruff Center for the Arts presented Truman Capote’s A Christmas Memory to our 4th and 5th grades. We loved it! This performance was made possible via a grant from AthFest Educates. We cannot thank AthFest enough! Last Wednesday Mr. Bertis Downs, manager of R.E.M., stopped by our school. Several of our 5th grade girls interviewed Mr. Downs about the making of R.E.M.’s video, Shiny Happy People. The backdrops from this mural were painted by OAES students. Some of our students were in the video. These murals still hang on our cafeteria walls. We are making a video of our interview. Check back in January for updates. After the interview, we watched R.E.M. videos. We also received hundreds of new books last week- most of which (thanks to our amazing interns) are ready for you to check out! Stop by- there are hundreds of titles to choose from such as Giant Steps to Change the World, the complete Tin-Tin, Nino Wrestles the World, Mi Frida, Chickenhare, Albert II: the First Monkey in Space, Abraham Lincoln and Frederick Douglass, Round Is a Tortilla, and nonfiction sets galore. I hope you love them as much as I do!